In the vague lore that is the daring young man’s story his father was a gymnast in Toulouse, and the boy followed in his acrobatic footsteps. Or in another telling his father ran a swimming pool and the boy began to dive and leap into the pool before realizing he could swing above it. Possibly his father ran a Gymnasium. 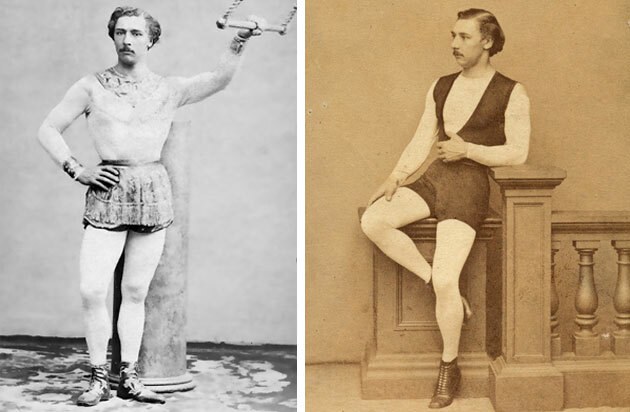 It is difficult to know if the father’s gymnasia had a library like those of earlier times that could be perused before exercise or while relaxing in the baths. Nor is it known if, as per, the etymology of the Greek word, gymnos meaning “a place to be naked” impacted the way the young boy trained. By his teenage years it is certain he donned costumes. He was born maybe in 1838, or potentially 1842. At the height of his mastery he could swing between three or possibly five trapeze. He was popular with the women in the pleasure gardens. He died of cholera, typhoid or maybe small pox. He was 28 or possibly 32. Young enough to be mourned even in such medically perilous times. Little is known. 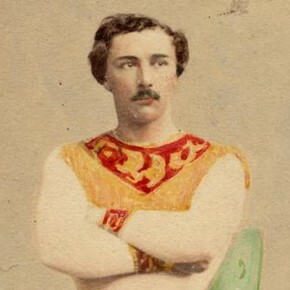 He invented the flying trapeze. He is Jules Leotard. Little girls wear his wardrobe to ballet class. 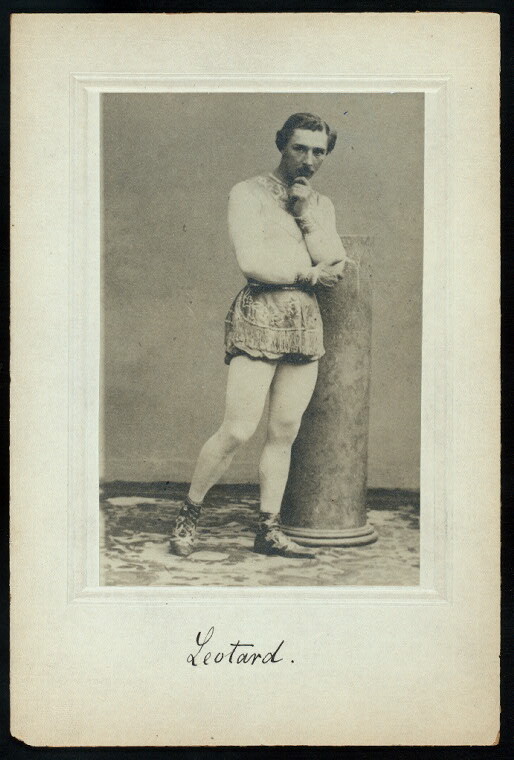 The word ‘leotard’ enters the vernacular in 1886 or 1889, at least 16 years after his death. Dictionaries credit Jules and the tight-fitting outfits he wore for its entry into usage. In 1847 Poet Charles Baudelaire published the novella, La Fanfarlo. In it his alter ego, poet-dandy, Samual Cramer, describes Walter Scott, “Oh, that tedious author! A dusty exhumer of chronicles! A fastidious mass of descriptions of bric-a-brac,….and melodramatic castles where lifeless mannequins stalk about, dressed in leotards and gaudy doublets.” Thus both withering Scott, and referencing ‘leotards’ when even according to the diverging sources, Jules would have been no more than either 5 or 9 years old. Perhaps this is an act of the translator as producer. With or without his leotard he convinces those willing to look upwards of the possibility of flight. Where as others leapt and likely fell before him, he graced the air. Suspended before the fall. If only for a millisecond he opened a portal to a weightless dimension. Employing the velocity of the body thrust outward in a performance of gravitational defiance.